Kampala — Uganda's economy is likely to grow by 6.5%, according to central bank governor Emmanuel Tumusiime Mutebile. That would be about 12% higher than last year and the highest rate in years. But there is a problem; the record high growth rate could be a one-off. According to recent report by the American management consultancy firm, Mckinsey Global Institute, Uganda's economy grows consistently but slowly. 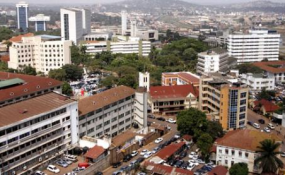 That is a problem because the consistent but slow growth means Uganda cannot achieve upper middle-income status over a 50-period as it cannot achieve the necessary average 3.5% real annual per capita growth rate, the report says. The 3.5% growth rate is the required average growth rate required to jump to another economic stage; according to the World Bank. In the case of Uganda, that is what is needed to become a middle-income economy. McKinsey calls economies that make the jump successfully "outperformers. In a recent report titled 'Outperformers: High-growth emerging economies and the companies that propel them'; McKinsey points at two factors that are needed to sustained high economic growth among emerging economies - and Uganda lacks both of them. The two factors are: first, government actions that encourage higher productivity, income, and demand. And the second is the presence in the local economy of large, ambitious, and globally competitive companies. These can be further subdivided into seven indicators of GDP growth, namely; government effectiveness, domestic saving, innovation, capital size of listed companies, performance of export sector, and global connectedness. These determine whether an economy will perform or not. And Uganda performs poorly on all parameters. Uganda's best score is 9% on exports and 8% on domestic savings. Rwanda scores higher than Uganda on exports at 14%. But the highest scorer on exports is Zambia at 18%, followed by Cambodia at 16%. China, Mozambique, and Vietnam are level with Rwanda at 14%. These countries have a high engagement with the global economy through inflows and outflows of goods, services, finance, people, and data. The exports ranking takes into account the size of each flow for a country relative to its GDP or population and its share of each total global flow. The best performing economies are those that have benefited from tapping into global demand growth through export markets, giving them greater economies of scale. Rwanda and Tanzania beat Uganda on the domestic savings scale. They score 14%. But Uganda is better than Kenya and South Africa. It is Azerbaijan at 19%, however, which has the highest domestic saving, followed by Cambodia and Turkmenistan at 16%, and Rwanda and Tanzania at 14%. Kenya and South Africa are at 3%, Nigeria 6%, Ethiopia 4% and China 10%. Uganda's worst score is -8% on innovation which is based on an assessment of movement in 80 fields, such as politics, education, infrastructure, and business sophistication. Rwanda scored 13% and Iran led the field at 19% followed by Mozambique at 18%. Tanzania scored 7% and Kenya 10%. Rwanda is the world's most effective government with a score of 93%. The ranking is based on the World Bank's Government Effective Score which measures the perceived quality of public services, civil service, and policy formulation and implementation. Serbia is second to Rwanda at 81%, Kazakhstan 58%, and Azerbaijan 48%. China's government is 33% effective, Ethiopia 44%, Ghana -35%, Tanzania 8%, Uganda 7%, and Kenya 10%. China leads the globe in GDP growth. Azerbaijanis are the top savers. Mozambique leads in innovation. Bulgaria has the highest market cap of listed companies. Cambodia has the most exports. Singapore is the world's most connected economy outside of the advanced work. In the report, Uganda is grouped together with 41 other economies that managed a compound annual growth rate between 0.95% and 3.5% over the period 1965-2016. This is the biggest cohort of the 71 countries studied. These are called the 'middlers' and Uganda belongs to a group labeled 'consistent growers' together with Tanzania. Ethiopia is the best performing economy in Africa and is ranked among "recent outperformers". Rwanda is among the top nine best performing economies among the middlers. These so-called "recent accelerators" include Mozambique and Ghana from Africa and Sri Lanka, Poland, and the Philippines. To grade the countries, the McKinsey researchers started with a list of 218 economies tracked by the World Bank, then excluded 99 countries with fewer than five million people in 2016, a further 28 countries because of a lack of data, and 20 high-income countries. That left 71 which were further divided into four cohorts: Long-term outperformers, recent outperformers, middlers, and under performers. From the report, it appears the best spot to be are the recent outperformers. These 11 countries hit the threshold of 5% compound annual growth rate derived from an average growth rate of 5.4% required by low (3.7%) and lower middle (7.1%) income to move up one income level over a 20-year period (from low to lower middle or lower middle to upper middle). Ethiopia is the only country in this cohort. Others include India, Vietnam, Cambodia and more. Ethiopia, the report points out, is seeing vibrant manufacturing growth and increased manufacturing employment by almost 10 percent and value added by 7 percent a year between 2000 and 2010. According to the report, Ethiopia has potential to increase employment in manufacturing by 3.6 percentage points and value added by 2.3 percentage points by 2030 based on McKinsey estimates. Rwanda and Kenya are the other economies in the region with similar potential. Elsewhere, they include Bangladesh, India, Mozambique, Nepal, and Vietnam. The report touts manufacturing because it does not just create jobs and growth in manufacturing-related sectors but has a broader impact on productivity and employment in the economy. In Ethiopia, for example, if these induced effects are included, manufacturing has had a significant multiplier effect of more than five times, compared with three times for services. The multiplier effect for output is about 2.3 times, compared with 1.9 times for services. As manufacturing jobs have higher wages, the multiplier impact on output will also be higher than for services. A 2015 McKinsey survey of chief purchasing officers from garment majors in Europe found that Ethiopia was attracting growing interest as a future top sourcing destination. It is listed together with India, Myanmar, Turkey, and Vietnam. It points out that this is the second poorest of regions, with GDP per capita of about $1,750, or only about one-seventh that of East and Southeast Asia and of Central and Eastern Europe. Of the 15 countries analyzed in the region, only Ethiopia has grown at more than five percent a year over the past 20 years. Ghana, Mozambique, and Rwanda, which have undergone recent growth spurts, have outpaced the long-term outperformers in the past 10 years. Tanzania and Uganda have been more consistent growers among middling economies, while Angola and Nigeria have had a more volatile past. Six underperforming economies--Cameroon, Côte d'Ivoire, Kenya, South Africa, Zambia, and Zimbabwe--have declined relative to the United States in the past decades,although Côte d'Ivoire's economic performance has improved. Exports from the region as a percentage of GDP were below 30 percent on average, which is half the rate seen in outperforming economies. Connectedness to other regions is poor, and the diversity and complexity of the export portfolio is low. For example, more than 90 percent of exports from Nigeria and Angola are oil-related products. Similarly, more than 80 percent of exports from Ghana, Senegal, Tanzania, and Zimbabwe are commodities or natural resources. Without a strong and diverse export-oriented sector, economic growth can be limited by domestic income and be affected by the volatility of commodity prices. Manufacturing offers a potential avenue to enhance export complexity and connectedness. Most sub-Saharan economies still have large opportunities to generate employment and increase productivity in the manufacturing sector, as their current manufacturing share of employment is low. Previous MGI research estimated that Africa could nearly double its manufacturing output from $500 billion in 2016 to $930 billion in 2025. Three-quarters of this potential growth could come just from meeting domestic demand--the continent currently imports more than one-third of the food, beverages, and consumer goods it consumes--while the other one-quarter could come from exports to other regions. Poor infrastructure, cumbersome customs processes, and lax compliance with social and environmental norms by countries in East Africa limit their ability to host apparel makers and other labour-intensive manufacturers. Lack of required talent and high cost of labour also pose a challenge. Ethiopia is a notable exception to these limitations is Ethiopia, as it has used labour-intensive manufacturing to achieve stronger growth. Countries focused on oil exports face the challenge of currency appreciation when seeking to offer competitive prices in other export sectors. Additionally, there are opportunities to improve government effectiveness across most countries in the region. While a few economies--Côte d'Ivoire, Kenya, and Zimbabwe-- showed improvement in the World Bank Government Effectiveness Index from 2010 to 2016, other countries in the region have not. This region has one of the lowest average scores in the Ease of Doing Business Index, but is improving at the second-fastest rate, indicating that these countries are focused on improving the environment for their private sectors. The market capitalisation of listed domestic companies grew by 3 percent between1996 and 2016 while corporate income grew by 7 percent between 1996 and 2014. Sub-Saharan Africa shows the lowest score in the McKinsey Digital Maturity Index. Countries in this region need to invest in digital infrastructure to ensure access, improve government's adoption of the latest technologies, and incentivize the development and adoption of ICT by local companies. However, this region has also experienced fast development especially in its mobile technology. Mobile phone penetration in the region has grown by more than 12 percent annually on average since 2010, which is the second fastest rate after East Asia and Pacific, according to the World Bank's Financial Inclusion Index. Up to 7 percent of the adult population of these countries uses mobile payment technology, second only to East Asia and Southeast Asia, where 10 percent does. The biggest challenges for sub-Saharan African countries involve improving export industries and global connectivity, which may include investing in infrastructure and labour force training as well as improving government efficacy and strengthening financial services. Continuing improvements in technology, especially in mobile and digital innovation and connectivity, will enable sub-Saharan Africa to grow at a faster rate. But the report says, there are reasons to be optimistic about the future of sub-Saharan Africa. Per capita GDP growth was slightly above 3 percent per year between 2010 and 2015, while labour productivity grew by 2.5 percent annually in the same period, a higher rate than the Middle East and North Africa, Latin America, or Central and Eastern Europe. Similarly, investment rates reached almost 26 percent per year from 2010 to 2015, while household incomes grew 3.7 percent. McKinsey estimates that four industry groups; consumer-facing sectors, agriculture, resources, and infrastructure--together could generate as much as $2.6 trillion in revenue annually between 2010 and 2020, or $1 trillion a year more than before. The large share of the population living in urban areas (above 40 percent) will also open new business opportunities.